LAS VEGAS -- An attorney for the Las Vegas shooter's girlfriend says she had no knowledge of any plans by him to commit a massacre. Marilou Danley's lawyer said Wednesday she plans to cooperate fully with the investigation of her boyfriend Stephen Paddock. Defense attorney Matt Lombard spoke in Los Angeles after Danley met with FBI agents to discuss Sunday's carnage on the Las Vegas strip. Danley was interviewed at the bureau's field office in Los Angeles, CBS News justice and homeland security correspondent Jeff Pegues reports. Authorities say Danley is key in piecing together what motivated Paddock open fire from the 32nd floor of the Mandalay Bay in Las Vegas, killing 58 people and wounding more than 500 others. 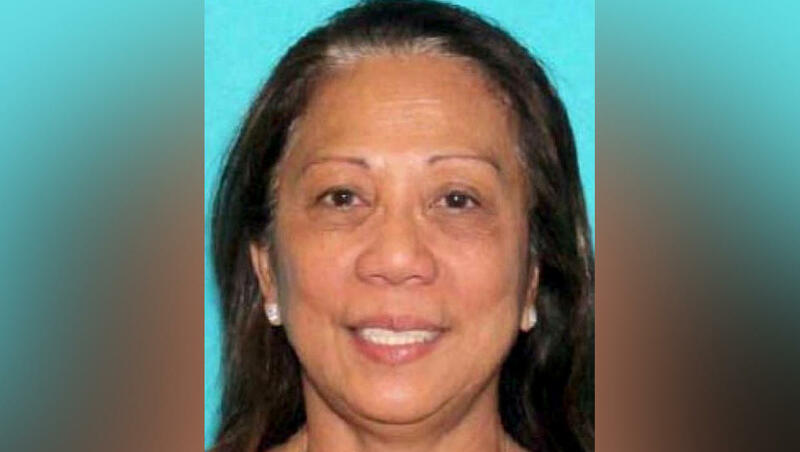 Paddock had sent her to the Philippines ahead of the shooting, Lombard said. According to Lombard, she said the thousands of dollars that Paddock wired to her was to buy a home there -- and she thought he was about to break up with her. Danley, 62, returned to the U.S. on Tuesday night from the Philippines after a weekslong trip abroad. A U.S. official said she was met at Los Angeles International Airport by FBI agents, CBS News senior investigative producer Pat Milton reports. Three days after the deadliest mass shooting in modern U.S. history, why someone with no known record of violence or crime would open fire on a country music festival was still a mystery. Clark County Sheriff Joseph Lombardo on Tuesday called Danley a "person of interest" in the attack. Paddock, a 64-year-old high-stakes gambler and real estate investor from Mesquite, Nevada, killed himself as police closed in on his 32nd-floor room at the Mandalay Bay hotel casino. More than 500 people were injured in the attack. Paddock had been stockpiling guns since 1982 and bought 33 of them, mostly rifles, over the past year alone, right up until three days before the attack, Jill Snyder, an agent with the federal Bureau of Alcohol, Tobacco, Firearms and Explosives (ATF), told "CBS This Morning" co-host Norah O'Donnell on Wednesday. Snyder said authorities would not have been notified of the rifle purchases but would have been informed if two or more handguns were bought at one time. Danley's sisters in Australia said in a TV interview there that they believe she couldn't have known about Paddock's murderous plans and that he must have sent her away so she wouldn't interfere. The sisters -- whose faces were obscured and their names withheld -- said Danley is "a good person" who would have stopped Paddock had she been there. "She didn't even know that she was going to the Philippines until Steve said, 'Marilou, I found you a cheap ticket to the Philippines,'" said one of the sisters, who live near Brisbane. Danley is an Australian citizen but a native of the Philippines, Pegues reports. She met Paddock after separating from her ex-husband, Geary Danley, in 2013. Meanwhile, President Trump met privately with victims of the shooting at a Las Vegas hospital Wednesday. "It's a very sad thing. We are going to pay our respects and to see the police who have done really a fantastic job in a very short time," Mr. Trump said before leaving the White House. He said authorities were "learning a lot more" about the gunman. Whatever Paddock's motive, authorities said he planned the attack methodically, not only stockpiling nearly two dozen guns in his hotel room but setting up cameras in the peephole and on a service cart outside his door, apparently to watch for police closing in on him. During the rampage, a hotel security guard who approached the room was shot through the door and wounded in the leg. FBI Deputy Director Andrew McCabe, speaking at a cybersecurity forum Wednesday in Boston, said investigators are busy "reconstructing the life, the behavior, the pattern of activity of this individual and anyone and everyone who may have crossed his path in the days and the weeks leading up to this horrific event." Asked if investigators had determined why Paddock carried out the attack, he said, "We are not there yet." He suggested that was unusual. Authorities told CBS News that while Danley was in the Philippines, Paddock transferred tens of thousands of dollars overseas. Investigators are still trying to trace that money and are also looking into a least a dozen financial reports over the past several weeks that said Paddock gambled more than $10,000 per day, a U.S. official briefed by law enforcement but not authorized to speak publicly because of the continuing investigation told The Associated Press on condition of anonymity.